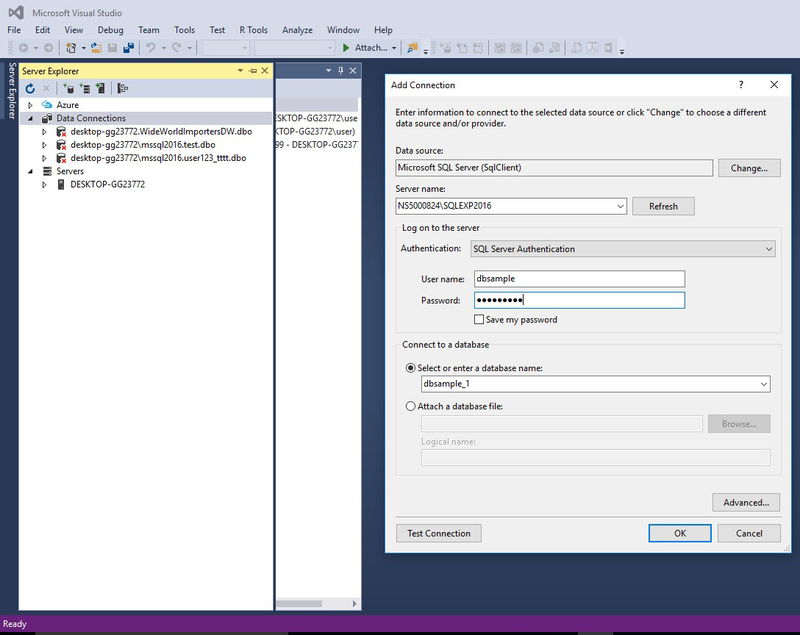 You can use your FreeASPHosting.net account with MS SQL database files. 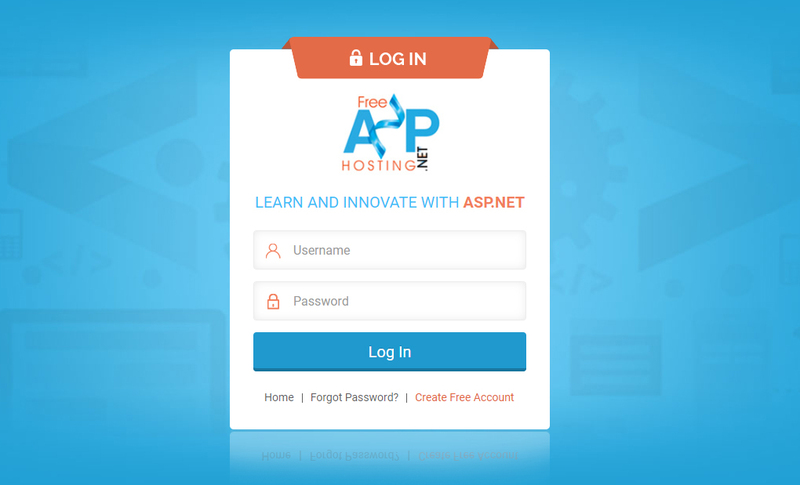 If you don't have an account you can create an account for free. a. 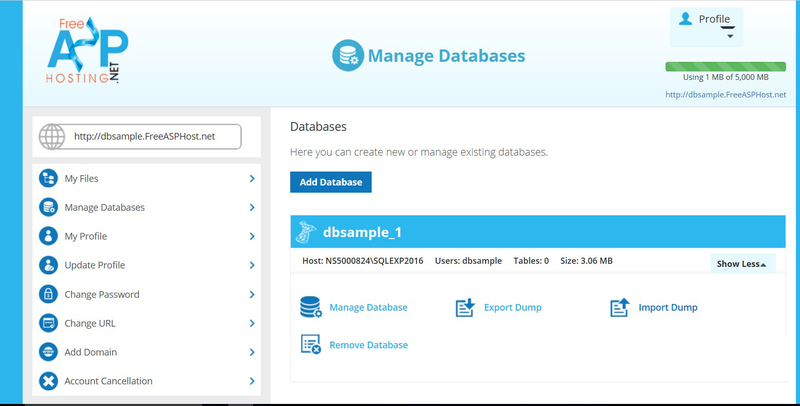 You can import your SQL Database from backup file. To do this please click on "My Files" to access your File Manager. 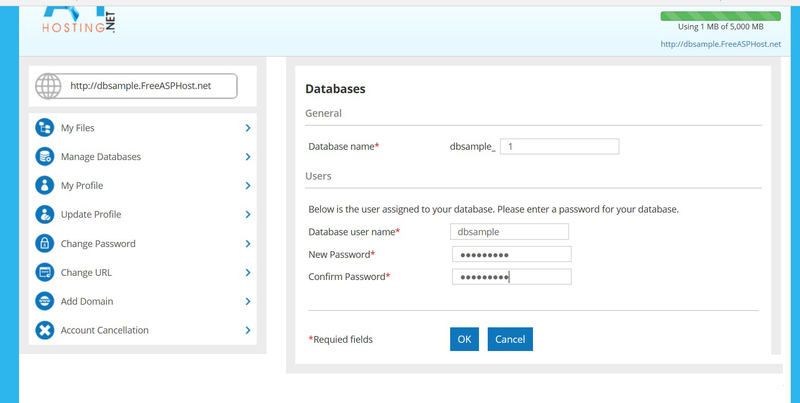 Using your File Manager upload your backup database. b. 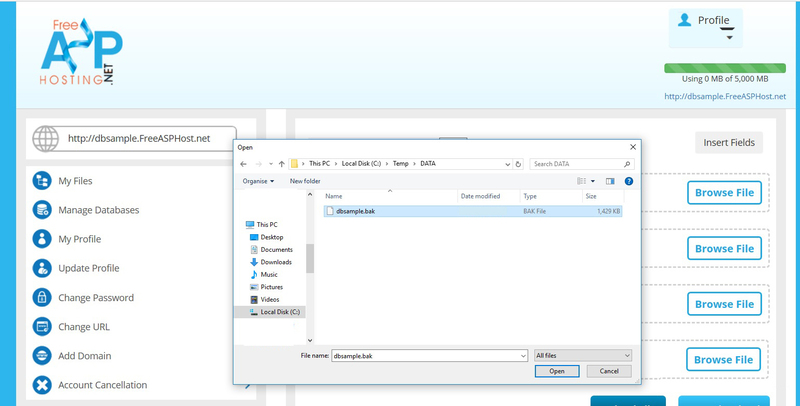 In your File Manager click on the drop menu Profile and then click on "Databases" and then click on "Add Database"
c. Enter your database name and enter a password for your database. Then press OK.
d. Then click on Import Dump. 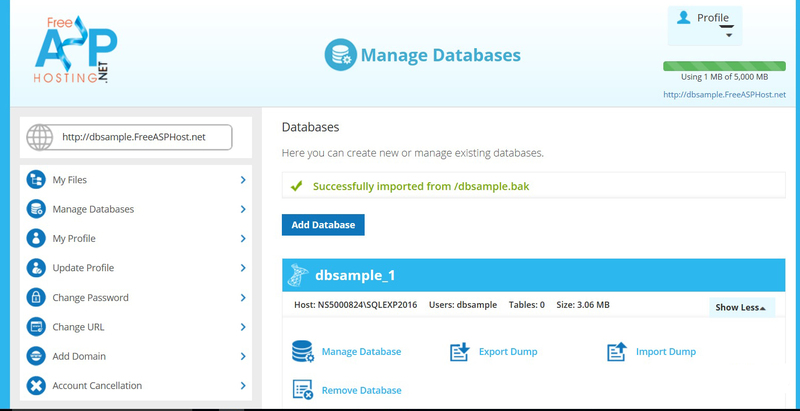 The import functionality is used to create your database from a database backup (*bak). 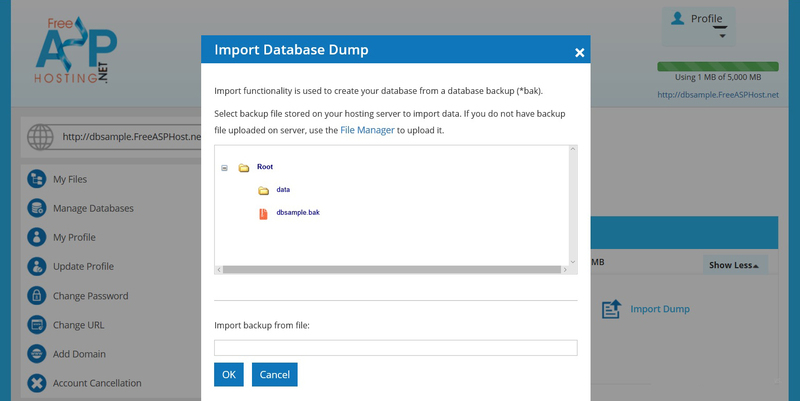 Select backup file stored on your hosting server to import data. 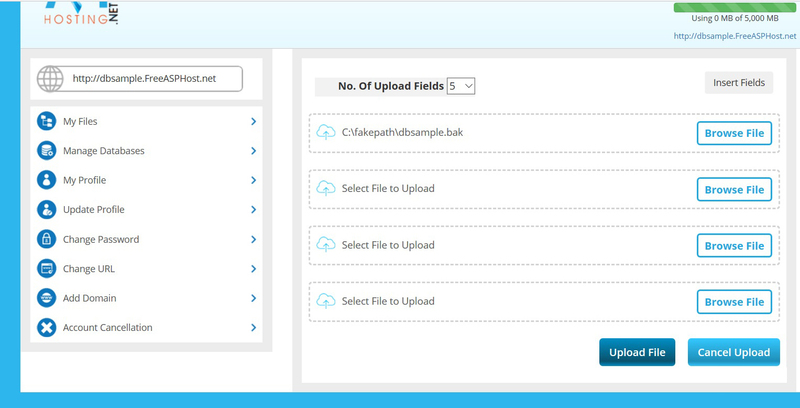 If you do not have backup file uploaded on the server, use the File Manager to upload it. 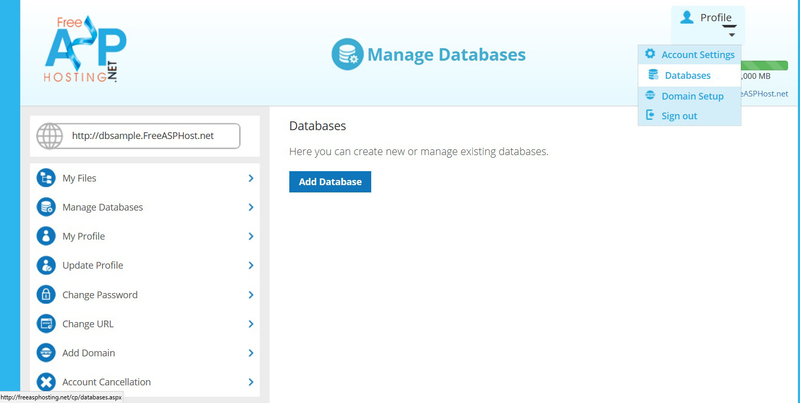 The database will be imported from backup. 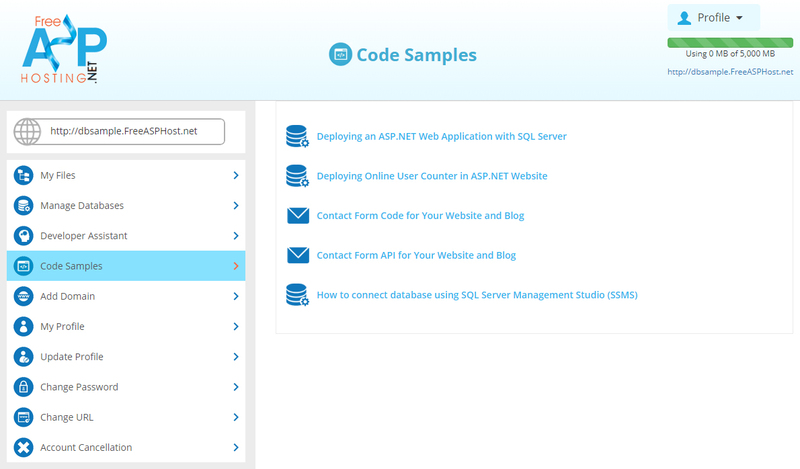 Now you can make a connection to the database in ASP.NET. 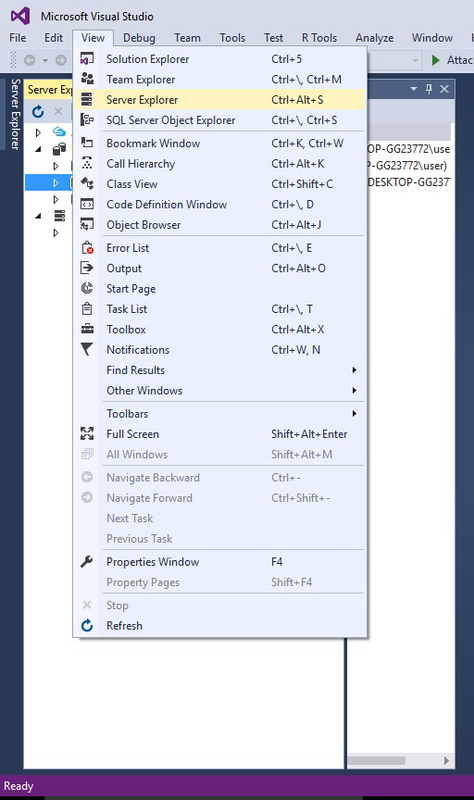 Now select View ->Server Explorer. 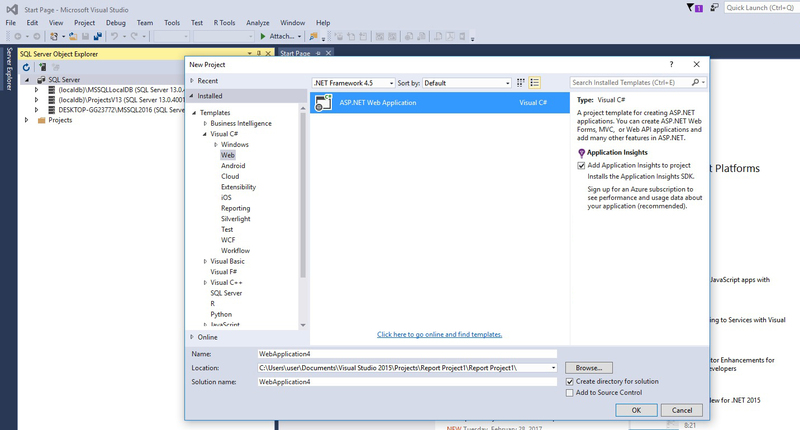 Now you can switch back to the Solution Explorer and working with the application.